This work, which is indispensable for the education of our children, presents over four hundred biblical stories, allowing our youngsters to take a look at and enter into the enormous range of tales presented. It is presented in six volumes adding up to over nine hundred and fifty pages, written in a very educational speech and completely illustrated with colourful and meaningful pictures, in which your children can discover everything from the Creation to Revelation. 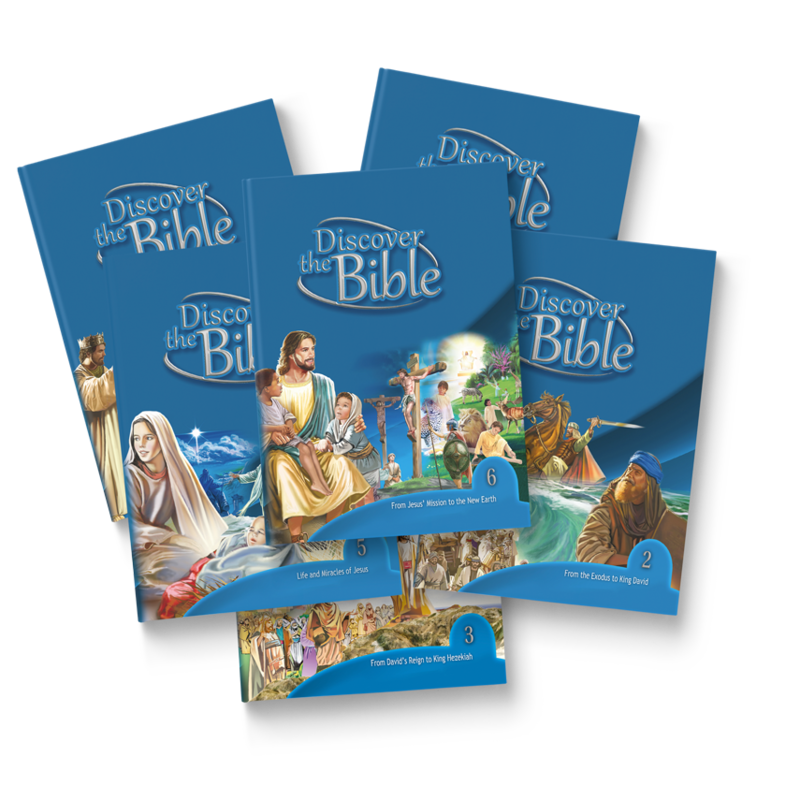 As you can see, Discover the Bible through its wonderful stories, is a very complete work, full of wisdom and beauty; an ideal tool for parents and educators, which puts Scripture within the reach of all children.